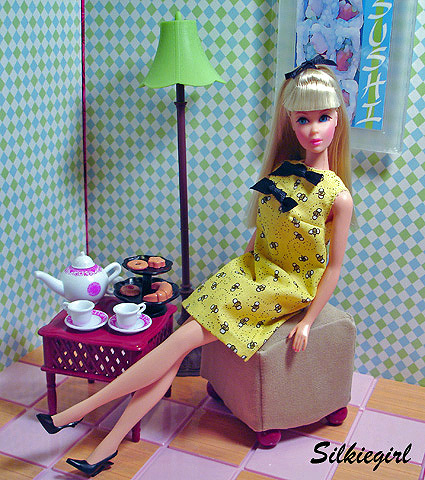 Hey out there in doll land. If you are on Facebook, this might be old news to you, but I thought I would share it with you anyway. 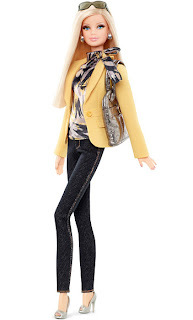 Barbiecollector.com and Target will be offering 2 Barbie dolls with a Tim Gun makeover plus 2 accessory paks around August lst. 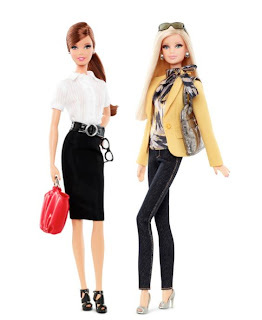 Both dolls will be able to switch out pieces from the fashions they come in and the accessory paks to get quite a number of different fashion looks. I can think of several that aren't presented in the below pictures. 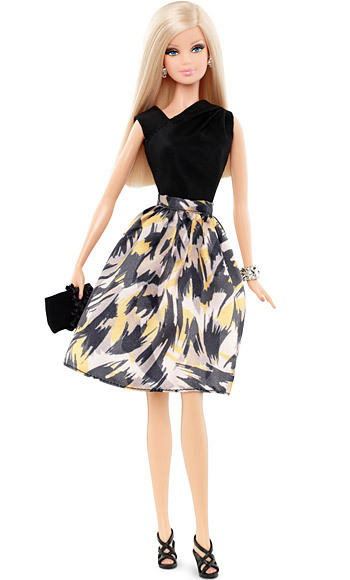 I'm finding that I'm excited about this news, and I'm looking forward to seeing the dolls and accessory paks in Target...hopefully very soon. July is almost over, and August lst is just around the corner. 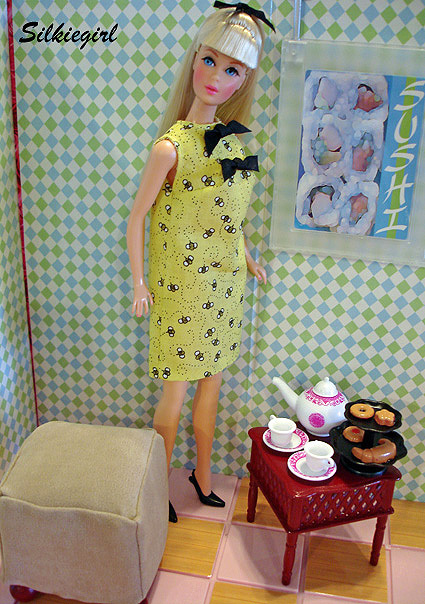 It's my understanding from the article I read, that the lst 2 pictures are of the actual doll wearing the fashions they will come in for purchase. The below 2 pictures of the dolls wearing the items that will be offered in accessory paks. The dolls and accessory paks are in the $25.00-$30.00 range according to what was stated. I hope you enjoyed reading about this wonderful news. Thanks for visiting my blog today, and I hope you leave a comment letting me know what you think about this news. July sure has been flying by, and it's getting away from me. I can't believe that this month is almost half over. Where oh where does the time go? else that is Barbie related. partner. The ottoman was a foam square that I covered with a neutral fabric. I also painted 4 wooden balls and glued them on for feet. The small table was originally blue, and I spray painted it that great color that is one of my favorites to use for spray painting. That cute tea set came with the blue table that I spray painted. Also...the tiered goodie tray was a different color that I spray painted black. Thank you for stopping by and visiting my blog. I so enjoy reading comments, so please feel free to leave one for me. Keep playing with your dolls and creating pretty things. We are celebrating the 4th of July here in the good old US tomorrow. I just wanted to stop in and make my first post of July one that wishes everyone that celebrates this holiday....a very safe and fun celebration. 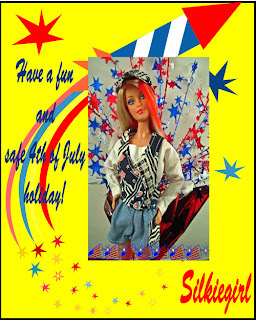 In the above picture, Hair Wear Barbie is wearing a very summer and celebratory outfit to commemorate this awesome USA holiday. I hope you like her. Please leave a comment if you would like. I would love to hear from you. 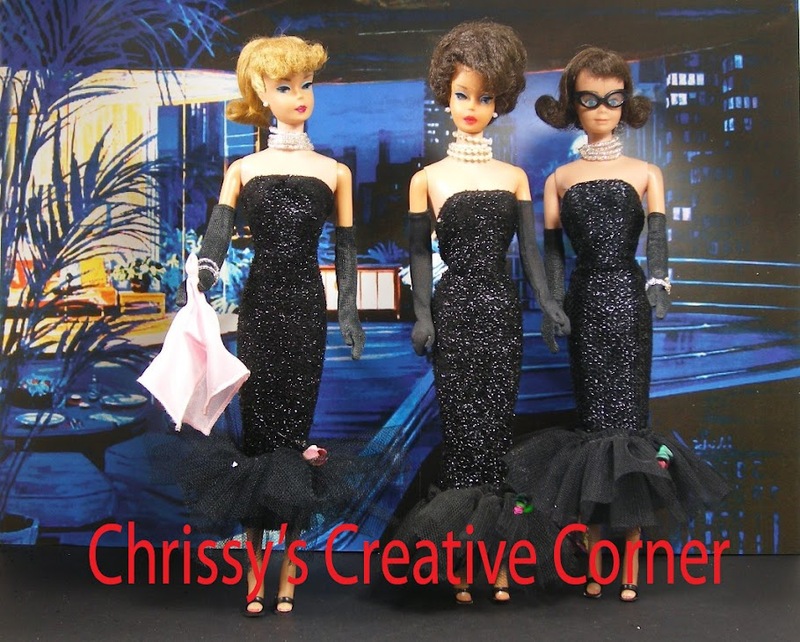 Don't forget to play with your dolls and create something beautiful. Okay....I won't bore you with telling all of you out there in dollie and crafting land that I am a wife, mother, and grandmother. Oh wait....I just did. haha However, I do feel that I am more than these three things, but these three things have helped to make me who I am today. 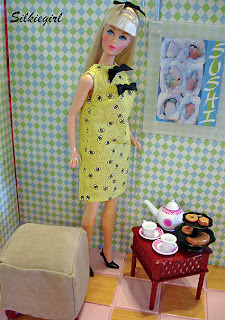 I have lots of interests, but my main interests are collecting Barbie, scrapbooking, sewing, and so much more. Here I will share some of my interests, so I hope you like what I share here.